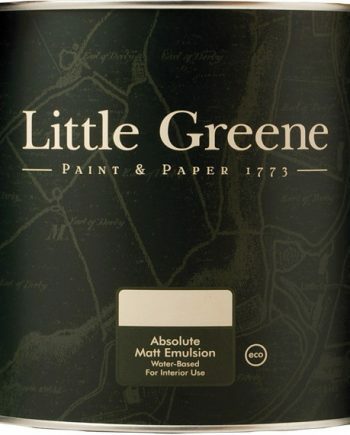 Little Greene Absolute Matt Emulsion is the classic finish for interior walls and ceilings. It’s a water-based, environmentally friendly paint and dries to an incredibly flat finish that exudes character. Unlike many manufacturers, our Absolute Matt Emulsion is also available in 1L tins – great (and economical) if you’re only painting a small wall.